4711 By Muelhens For Men. Eau De Cologne Splash 27.1 Fl.Oz by Muelhens at Lonkoom Perfume. MPN: 4004711000904. Hurry! Limited time offer. Offer valid only while supplies last. 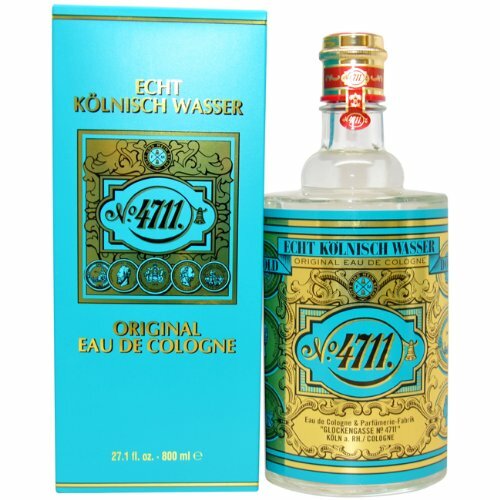 4711 by Muelhens Eau De Cologne 27 oz for Men Created by the design house of Muelhens in 1792, 4711 is classified as a refined, fruity fragrance. 4711 by Muelhens Eau De Cologne 27 oz for Men Created by the design house of Muelhens in 1792, 4711 is classified as a refined, fruity fragrance. This unisex scent possesses a blend of sandalwood oils, citrus fruits, oranges, lemons, and grapefruit. If you have any questions about this product by Muelhens, contact us by completing and submitting the form below. If you are looking for a specif part number, please include it with your message.